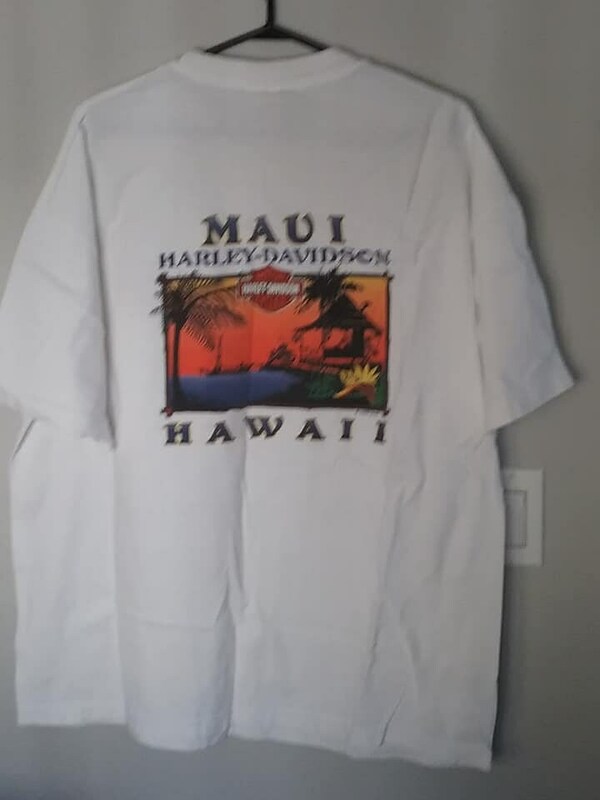 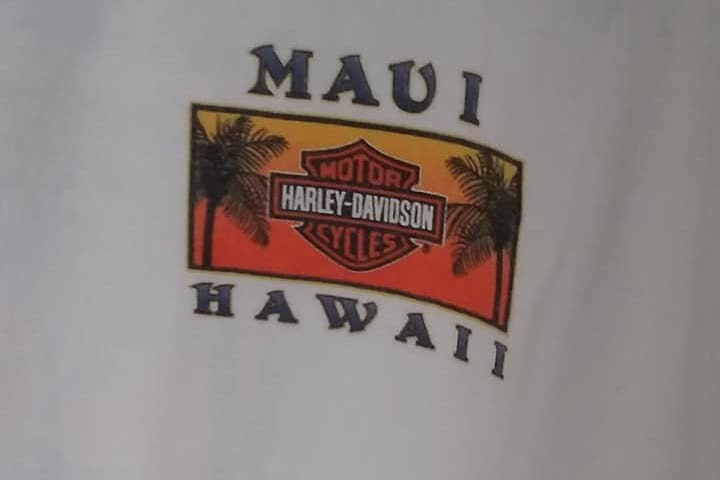 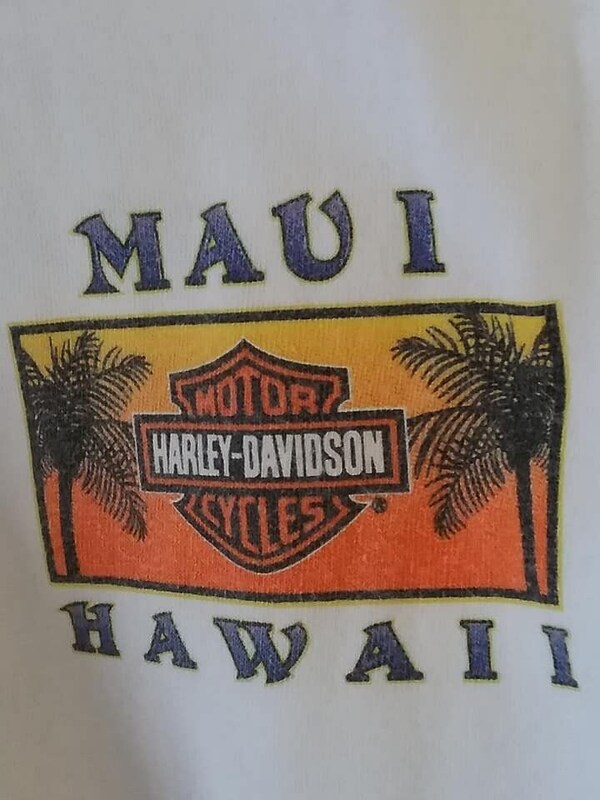 Harley Davidson 1999 Maui Hawaii, white short sleeve shirt. 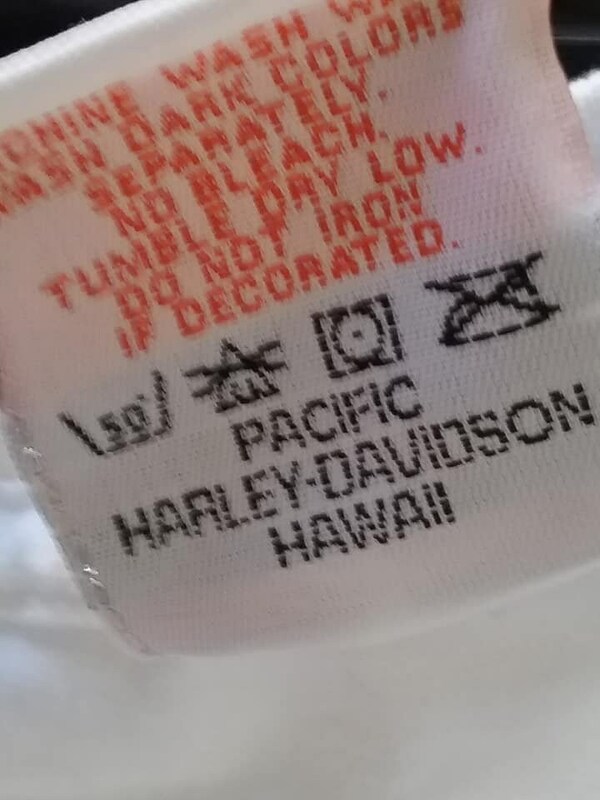 Made in USA, it is a cotton blend. 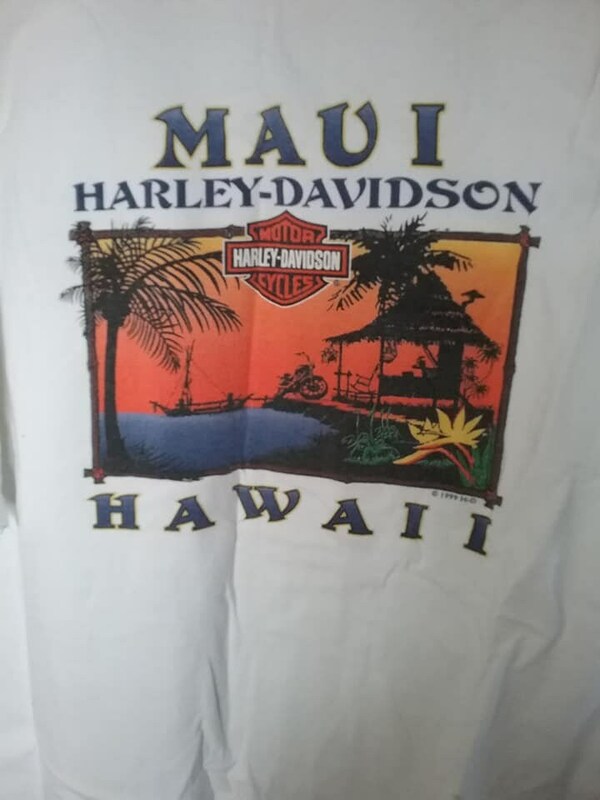 Harley Davidson, Hawaii. 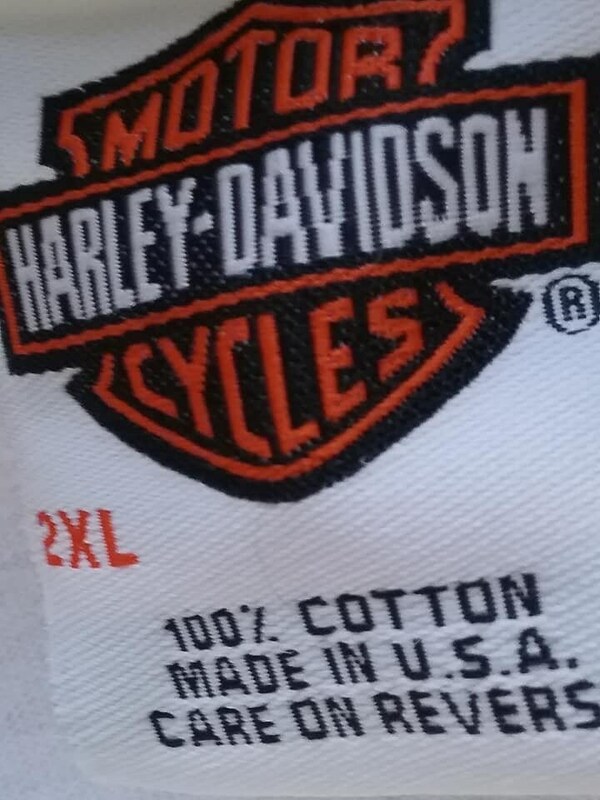 Measurements lying flat are: armpit to armpit - 25", armpit to hem - 16.5", and back collar to hem - 30". 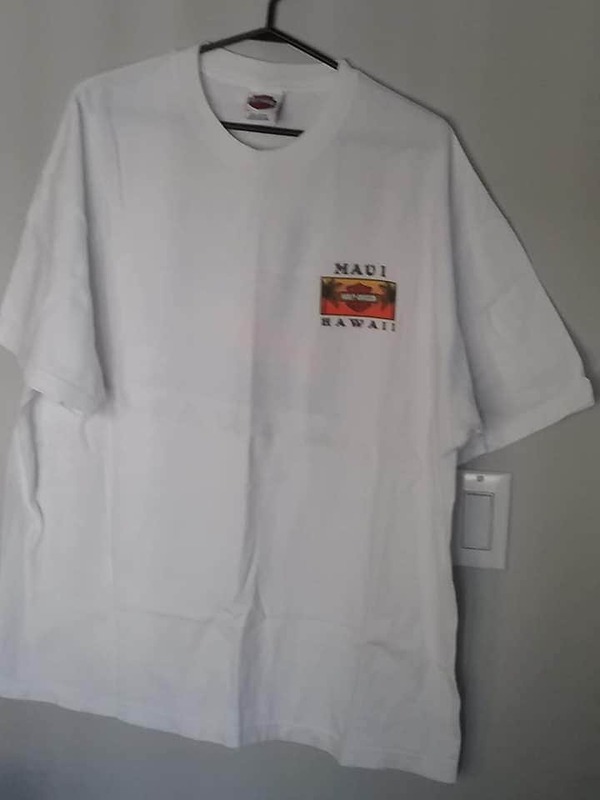 A very nice Pacific Maui shirt.